Corsair just launched a Titanium Edition of its Carbide 330R case. This new model is priced at $99.99, it has a dark gunmetal anodized aluminium front and comes with an integrated three-step fan controller. Corsair®, a worldwide leader in high-performance PC hardware, today announced the immediate availability of the Corsair Carbide Series™ 330R Titanium Edition, which brings a new attractive dark gunmetal anodized aluminum front panel and a convenient 3-speed fan controller to the already popular and stylish Carbide Series 330R quiet mid-tower case making it a great choice for media rooms, bedrooms, dorm rooms, or any place where both silence and performance are essential. 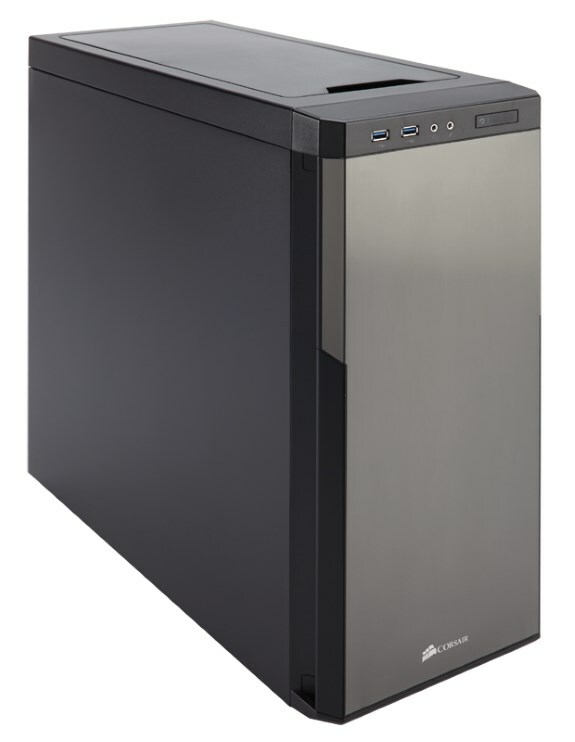 The Carbide Series 330R cases are designed with features that make it easy for users to build extremely quiet PCs. The Direct Airflow Path layout provides a unobstructed path between the included 140mm fan and the CPU and GPU, providing cold air directly to the hottest components with less restriction and less noise. Sound damped doors and panels and clever intake fan design are combine to further minimize noise. The Carbide Series 330R Titanium Edition adds a three-speed fan controller on the front panel, making it easy to adjust the speed of two included cooling fans to optimize cooling and sound levels. The case has generous expansion room with tool-free drive mounts and cable routing that make building or upgrading a PC a snap.